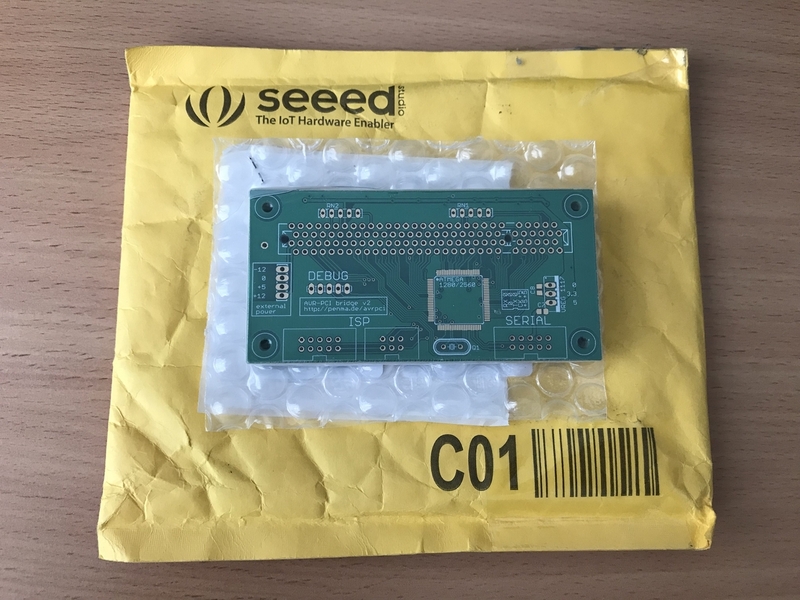 Seeed Studio contacted me asking if I wanted to review their Fusion PCB service, of course I said yes :) Full disclosure: they provided a discount coupon for me to use on this service in exchange for the review here. 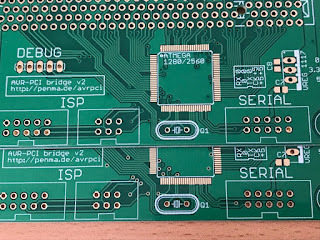 It took me a while to think of something to have manufactured, but I stumbled across an interesting project here AVR-PCI bridge that I thought could be interesting to play around with. 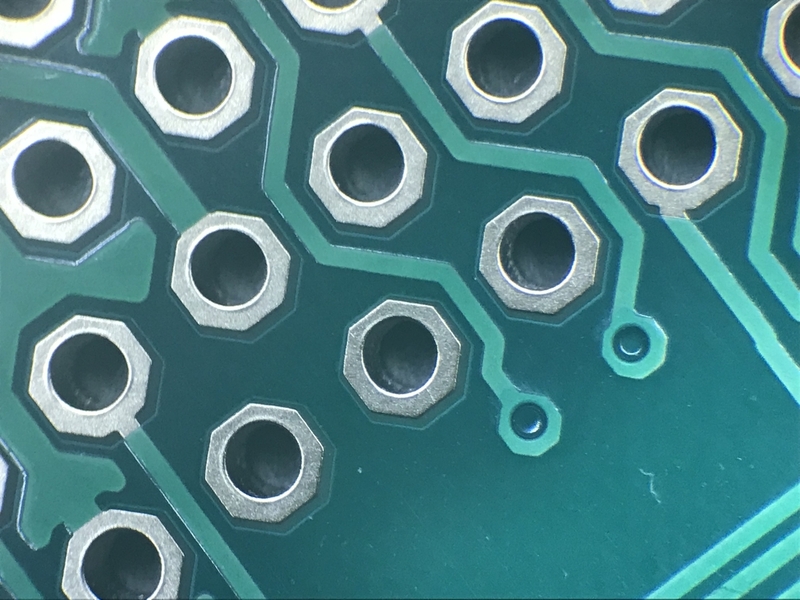 Seeed offer the "standard" hobbyist level PCB spec, but also give the option to get smaller drill sizes and/or trace widths for a relatively small extra cost directly from the ordering page, rather than having to pay for their "advanced" service. 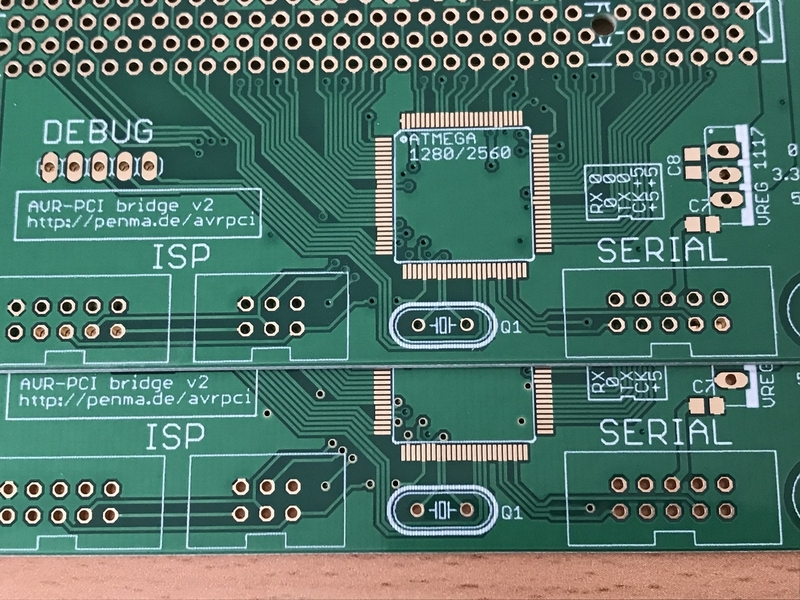 For this board though, the standard specs were more than good enough, so I had it finished in ENIG just because I could! 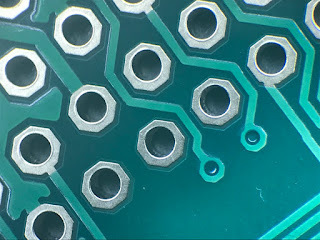 One notable missing option from the standard list was for a matte black solder mask (specifically matte, not shiny black). Elecrow offer this for an extra $20 or so. 29th April - I placed my order. Normally I like the pre-shipping photo, it gives me a slight comfort that I haven't done something really silly with the Gerbers... but this one I can't see anything! I forgot to mention this was using their cheapest shipping option "Post Link". 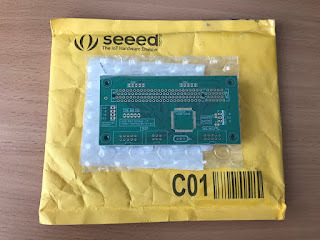 For me in the UK that resulted in the parcel being shipped internationally by 4PX (trackable), and delivered to my house using Royal Mail Tracked. 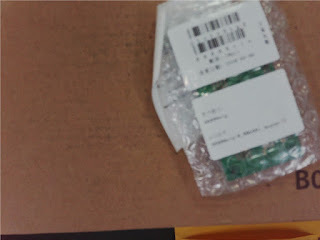 For my purposes, this is great, I have no need for a faster delivery service (this only took 1 week anyway). 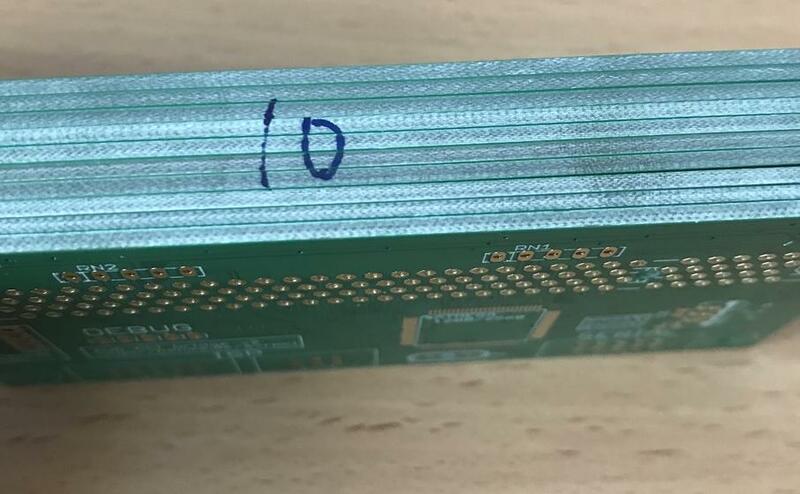 The boards had the quantity written in marker on the side for some reason. Not a problem, just an observation! 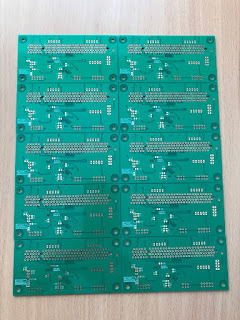 As you would expect, all of the boards were usable (excuse the shadow of my phone in the reflective solder mask). 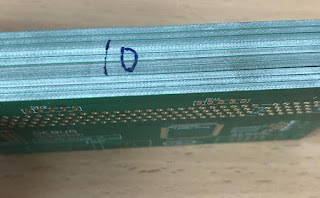 Just below C5 on the back of the board is the Seeed production code. They do warn about this being added in their FAQ (here). 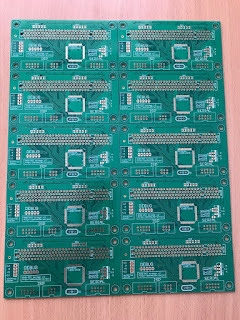 It's hard to tell in those photos, but 3 of the 10 boards have no solder mask on some of the vias. Here is a close up (top board normal, bottom board missing solder mask). I guess it was just spread too thinly or something, not really sure to be honest. 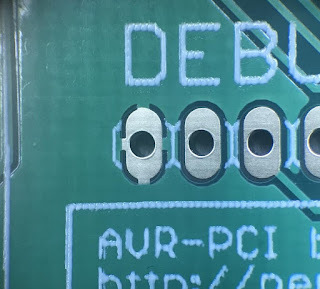 It was the same on both sides of the 3 affected boards. In this application, just a minor cosmetic issue though and will not affect the functionality. 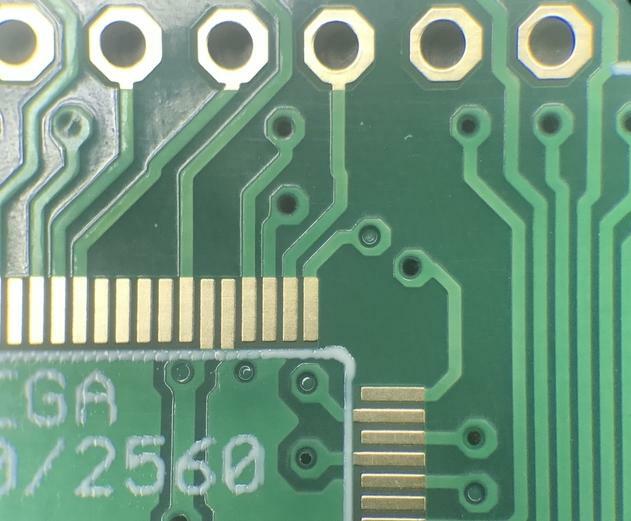 The silkscreen quality isn't too great, but is no different to other manufacturers at this price point. The alignment is good. In conclusion, I'd definitely use Seeed again. 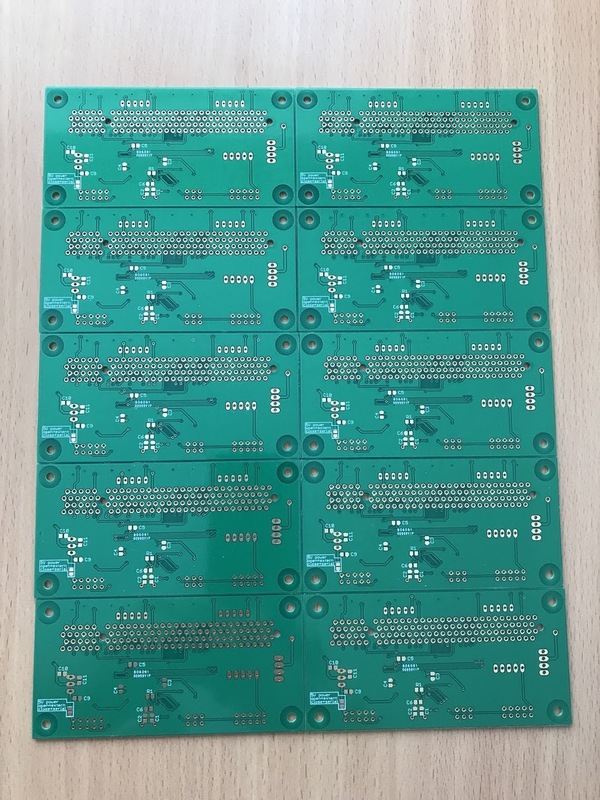 Their pricing is as good as other companies for the low cost, low quantity boards that hobbyists need! 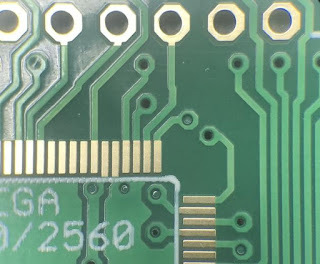 The only improvement I could suggest to this service would be the addition of matte black solder mask option to the website (at a small extra cost of course). 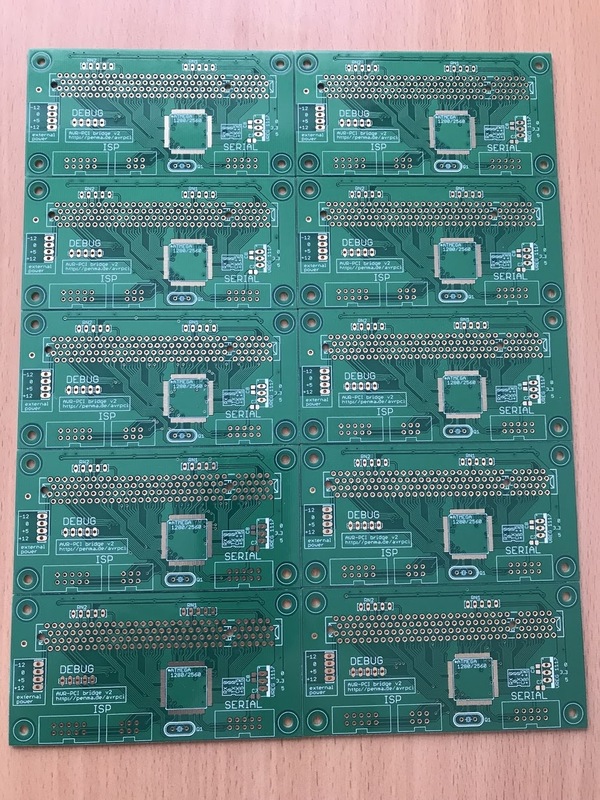 I'll do a follow up post when I get the remaining parts delivered and soldered on.